When Wisconsin implemented work requirements, it cost double what it was supposed to and lifted only a tiny fraction of participants out of poverty. The contractor it hired violated civil rights and was accused of coercing labor. The United States Department of Agriculture (USDA) has proposed that 2.8 million able-bodied adults without dependents (ABAWDs) should become subject to work requirements in order to maintain their eligibility for food stamps. It’s a controversial plan, opposed by 100 House Democrats and a bipartisan group of 47 Senators, that could ultimately deprive 755,000 Americans of benefits over three years. Congress explicitly rejected a similar change last year, but even if USDA ultimately walks back its proposal as a result of political pressure, state governments across the nation have introduced similar policies. If USDA’s proposed changes do go into effect nationwide, they represent a potential gold rush for the corporations that contract with local governments to handle the training programs SNAP users must join in order to prove they’re looking for work. It’s all part of a larger-scale effort by the executive branch to expand a policy that has already been introduced in Wisconsin—with dubious results. Our analysis shows that the true beneficiary of Wisconsin’s mandatory employment training program wasn’t its enrollees. A New Food Economy analysis of hundreds of pages of documents, interviews with former caseworkers, program participants, advocates, and one member of Congress revealed that one of the companies hired to manage Wisconsin’s expanded work requirements has repeatedly fallen short of expectations. Statewide, the program is expensive, it doesn’t find jobs for most people, and its practices have violated participants’ civil rights on numerous occasions. One contracted company has been credibly accused of coerced labor. Our analysis shows that the true beneficiary of Wisconsin’s mandatory employment training program wasn’t its enrollees. It was the company the state hired to oversee the program, at least in Milwaukee and other regions. Wisconsin provides a glimpse into how expanded work requirements might play out if they are mandated across the country. When Wisconsin first implemented those work requirements, the state awarded the employment training contract for three of its most populous regions to a Louisville, Kentucky-based company that, at the time, was called ResCare. (In 2018, the company changed its name to BrightSpring Health Services, but for the duration of this story we’ll refer to it as ResCare.) The company earns an estimated $1.7 billion in annual revenue in exchange for providing hospice care, pharmacy services, and foster care, in addition to its work programs in regions throughout the United States. ResCare did not respond to a detailed list of questions from The New Food Economy, instead opting to forward our queries to Wisconsin’s Department of Health Services. The agency did not respond by press time. Corporations like ResCare stand to make a lot more money from expanded work requirements, even though the entities that manage Wisconsin’s program have collectively found jobs for only about a third of enrollees. ResCare’s track record in the state is spotty at best. According to documents reviewed by The New Food Economy, it has also been caught billing the state for irrelevant services and received multiple violations during USDA audits for failing to follow FoodShare Employment Training Program (FSET, the work training program the company administers) guidelines. Corporations like ResCare stand to make a lot more money from expanded work requirements. But the company’s track record in the state is spotty at best. In reality, FSET has not bounced many people out of poverty. According to data made available in November 2018, more than 83,000 people have enrolled in the program since April 2015. Less than 29,000 have found work. In 2016, FSET cost taxpayers $283 per enrollee, per month. That’s more than double what the average SNAP recipient received during the same time period and nearly twice what the Walker administration predicted it would cost, according to an analysis by the Legislative Fiscal Bureau, a nonpartisan service agency of the Wisconsin legislature. But despite the cost of its services, program oversight has been scarce. The state’s Department of Health Services (DHS) conducts monitoring only visits once a year. The USDA has examined ResCare’s activities in Milwaukee twice, finding multiple program violations both times, including (among others) a failure to interview clients, violations of participants’ civil rights, and failure to reimburse participants for childcare expenses—a requirement of the program. Even more concerning, the company’s infractions may also have included an instance of coerced labor, according to correspondence reviewed by The New Food Economy. 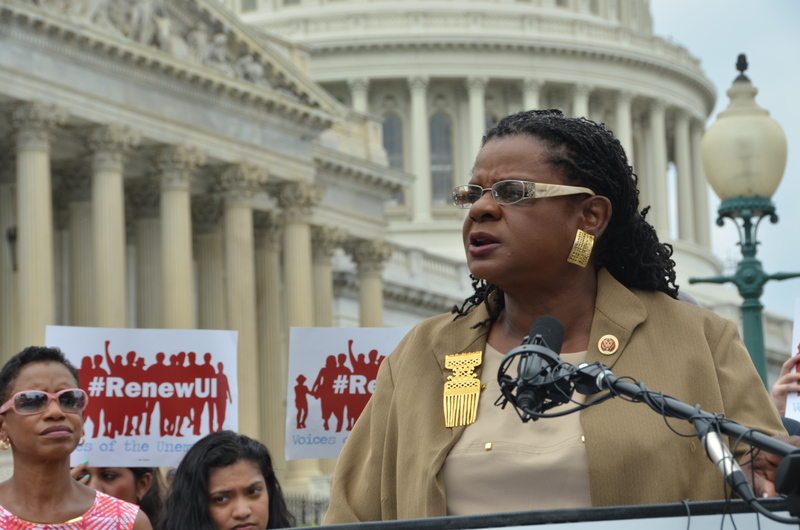 In December of 2016, Wisconsin Democratic Congresswoman Gwen Moore wrote to multiple federal officials requesting an investigation into troubling allegations from one of her constituents, alleging ResCare placed her into a coerced labor situation at a food service facility. Moore’s constituent wasn’t the only one whose experience marked a considerable departure from what ResCare had promised. Deatre McNeal, a 31-year-old single mother from Milwaukee, entered ResCare’s employment training program voluntarily in 2017. She was not subject to the state’s work requirements at the time because she was the parent of a minor, though under Wisconsin’s new rules her enrollment would have been mandatory. McNeal was working part-time at a Golden Corral restaurant and hoped that joining FSET would help her qualify for a better job. She wanted to take classes that would certify her as a caregiver for homebound adults. Once certified, she would be able to administer medicine and could apply for full-time positions that pay upwards of $9 an hour. The caregiver training could have been completed in a week. But a year later, McNeal was no closer to her goal. She says she was assigned to a different case worker every month, and at one point she was asked to restart the whole training process. “It was always something,” she says. McNeal eventually found help elsewhere. In December of 2018, she enrolled in a private training program where she quickly obtained the certification she needed, and found work as a caregiver immediately. In the meantime, however, she’d fallen behind on rent payments. McNeal was evicted from her apartment the day after she was granted her caregiver license. Even though she found new work, her paycheck didn’t arrive in time to pay rent. She and her daughter moved in with her brother. Looking back on her year with ResCare, McNeal calls it a “waste of time.” What should’ve been an opportunity for career advancement instead left her without a permanent address. A program she’d entered voluntarily—but which is mandatory for an ever-widening swath of the population—failed her every step of the way. In theory, work requirements are supposed to encourage people who rely on food assistance to become more self-reliant and push them to find jobs. The recent push for reforms to the federal safety net isn’t new. Work requirements have been tied to SNAP benefits since the 1990s, when then-President Bill Clinton’s welfare reform bill included a provision that limited unemployed people to three months of food stamp benefits, every three years. That version of the bill also allowed waivers of the requirements for areas with high unemployment rates. The Center for Budget and Policy Priorities estimates that about one-third of SNAP recipients have lived in exempt areas since the three-month policy was enacted. The Trump administration’s proposal to change the way these waivers are granted is the move that would subject 750,000 additional people to work requirements nationwide. In theory, work requirements are supposed to encourage people who rely on food assistance to become more self-reliant and push them to find jobs. To aid in that pursuit, workforce training programs like FSET help enrollees write resumes and fill out job applications, and provide classes that teach new skills. The basic idea is that once people find well-paying, long-term employment, they will no longer need to rely on federal assistance to feed themselves. Critics argue that making work requirements a condition of federal aid winds up punishing more people than it helps. ResCare’s ability to win contracts over local providers has come under scrutiny in other places, too. In Springfield, Missouri, the state awarded ResCare a contract for a work program that the city also bid for; the decision was ultimately reversed amid protests over the selection process. In Elk River, Minnesota, after local politicians overrode intense local opposition to the construction of a ResCare facility for live-in mental health services, the mayor said he voted in favor of its construction in part because he feared a legal challenge if he blocked it. Other incidents have cast doubt on the company’s management of its operations, especially in places where it provides residential care. In Kentucky, after a resident attacked a ResCare employee, the state Occupational Health and Safety Program determined that the employee may have been verbally abusive toward residents. In Louisiana, the Department of Health launched an investigation into one of ResCare’s group homes after a lawsuit alleged that employees directed residents in their care to beat, sexually assault, and urinate on another, special needs resident. And in West Virginia, state regulators investigated dozens of complaints in the wake of a teenage girl’s death and found that ResCare had lost track of residential clients and waited to report an employee’s sexual abuse of two clients, among other transgressions. The funding model for the workforce training program that ResCare was hired to manage in Wisconsin also raised red flags. “They got, like, a giant pile of money and no performance measures so they could do whatever they wanted,” Tussler says. It may sound hyperbolic, but her criticism is effectively accurate. According to a May 2017 report from the state’s Legislative Fiscal Bureau, funding for FSET included a 5 percent, performance-based bonus for individual contractors as an incentive to meet employment outcomes. But, apparently unable to set meaningful benchmarks, the Department of Human Services ended up granting nearly every vendor the full 5 percent bonus. By contrast, a similar state work training program bases 70 percent of its overall vendor funding on “performance standards and additional outcome measurements” contingent upon meeting their goals. At the time, the Legislative Fiscal Bureau seemed to criticize Wisconsin’s FSET funding model when it argued that vendors should provide adequate services regardless of bonus structure. “Mark,” who asked not to be identified by his real name because he still works in the industry and fears losing his job, was employed by ResCare when the work requirements first went into effect in April of 2015. His job was to call FSET recipients and tell them they needed to report to ResCare to sign up for the work-training program. From the outset, he says, enrolling people in the program was an uphill battle. “There was really not a lot of announcement of this work requirement going into effect. As far as contact info goes, we were depending on the phone numbers and email addresses that we got from the state,” Mark says. The phone numbers were often disconnected or wrong. When Mark’s team did get in touch with people, a lot of them simply didn’t believe that ResCare—an unfamiliar private company claiming it controlled their access to food benefits—was the real deal. The enrollment process proved a major hurdle for the program writ large: Only 24 percent of the people referred to FSET ultimately joined the program, according to the Legislative Fiscal Bureau analysis. Many of the rest likely lost their benefits. Once a person is referred to FSET, the clock starts ticking. If they don’t meet the required number of hours immediately, each delay counts against the three months every three years during which they can receive benefits without working. That’s why it’s so important to enroll participants promptly. If it’s delayed for two months, they’re left with just one month of benefits over a three-year period. If a participant is laid off a year and a half down the road, the system doesn’t leave much wiggle room. Once the enrollees Mark contacted finally met with their case managers, they were asked to respond to a questionnaire meant to identify any barriers to employment. It asked questions about whether they had ever been addicted to drugs, whether they had a family history of mental illness, and whether or not they were homeless. Mark says some people were so offended by the questions that they refused to continue the enrollment process. ResCare had promised to offer individualized programming tailored to each client’s needs. Without so much as an intake interview, it’s difficult to imagine how those services might have been provided. Some of those questions were more than just offensive, they were actually illegal. In August of 2015, USDA conducted a monitoring visit of ResCare offices in Milwaukee. Over the course of two inspections spaced one year apart, it cited a total of 10 corrective actions and 17 recommendations, according to documents reviewed by The New Food Economy. Some of these corrective actions found violations of civil rights law; some found violations of federal SNAP policy. The agency found that the questionnaire Mark described had violated the Americans with Disabilities Act (ADA). Prospective employers aren’t allowed to ask about drug abuse in the distant past or housing status before they make a formal job offer. The agency also warned that case workers needed to make abundantly clear to enrollees that answering those questions was optional. The 2015 monitoring visit found other problems with ResCare’s performance. One of the company’s offices didn’t have a sign outside, and enrollees had struggled to find their way in. The USDA also questioned the accuracy of some of ResCare’s billing practices: Should taxpayers pay for a subcontractor’s help in providing drivers’ licenses, even if the company has failed to establish the necessity of the service? And the company was struggling with basic administration of the program. Five months in, ResCare had already reported more than 40 instances in which it had either failed to submit a participant’s hours or been at fault for delays in scheduling, meaning that the participant had incurred extra months or weeks on their benefit clock even when they hadn’t missed any appointments. During that 2015 visit, USDA reviewed 20 individual case files and found problems with more than half of them. Participants were scheduled for appointments at one office but given the phone number for another; assigned tasks that did not add up to enough hours to meet the work requirement; and in one case, an enrollee was never even interviewed. ResCare had promised to offer individualized programming tailored to each client’s needs. Without so much as an intake interview, it’s difficult to imagine how those services might have been provided. Eight months later, according to correspondence reviewed by The New Food Economy, USDA still had not received a corrected version of the questionnaire Mark described, in response to its citations of ADA violations. The agency had also requested a copy of the civil rights training procedures required for ResCare staff. That hadn’t been submitted either. The overloaded caseworker, who asked us not to use her name for fear of reprisal, told us that it seemed like most clients weren’t successful. They’d get temporary work and be back in the program three months later, or they’d get stressed out about the 20-hour-a-week commitment and drop out. In July of 2016, Rep. Moore wrote a letter to USDA and the Department of Labor to convey some troubling allegations from one of her constituents. Moore’s constituent said that, through ResCare, she had been offered an interview for a job at a food processing plant a few hours outside of Milwaukee. She said she hesitated to accept the interview because of the distance, but was told she would lose her SNAP benefits if she did not participate. She was subsequently bussed to a facility, where her cell phone was confiscated, and she was told she would stay there for three months, peeling potatoes for 12 hours a day, six days a week. She was expected to live in dorm-style housing with other employees and had no way to travel back to her home after work at night. The next month, according to documents reviewed by The New Food Economy, USDA conducted its second monitoring visit of ResCare, this time focusing on participants who were sent to work in food processing plants. In its final report, the agency noted concerns among advocacy groups that caseworkers were pressuring vulnerable people to accept employment even when the job wasn’t a fit. In one instance, advocates told the agency that a woman with a developmental disability was pressured to accept a food manufacturing job without fully understanding what the work entailed. In another, it was reported that a homeless man was pushed to accept a food manufacturing job even though it put his “shelter space” at risk. A subsequent visit to one of the food processing plants by a representative from a migrant worker advocacy group could neither confirm nor deny the presence of coerced labor, according to a spokesperson for the group. The USDA has a pretty clear definition of “suitable employment” for people participating in work requirement programs, one that was missing from Wisconsin’s handbooks. In response to Moore’s request for an investigation, the agency asked the state to correct the program’s definition of appropriate work. Jobs that pay per piece (i.e., potatoes picked or pounds of strawberries harvested), in which the employee isn’t likely to earn minimum wage, are not appropriate. Commutes shouldn’t exceed two hours a day. Jobs should be accessible via public or private transportation. And, critically, if a job offered in the first 30 days of an employment training program doesn’t fit with a person’s experience, they are not required to accept it. Agencies like ResCare are hired to perform a meticulous assessment of a participant’s goals and needs and craft an individualized employment plan; the food manufacturing work described in Moore’s letter seems like precisely the opposite. During its 2016 monitoring visit, USDA found that other crucial aspects of the FSET program were falling through the cracks. Participants who got jobs were supposed to be reimbursed for childcare expenses, transportation, and work boots. It wasn’t always happening. Participants were supposed to be offered specialized training programs that would help them earn higher wages, like the caregiver license McNeal was hoping to obtain or a forklift operating class. But USDA found that ResCare was instead enrolling “a significant number” of participants in its one-size-fits-all online training program, ResCare Academy. The USDA has a pretty clear definition of “suitable employment” for people participating in work requirement programs, one that was missing from Wisconsin’s handbooks. ResCare secured its contract in Wisconsin by promising it could do better than the community college system to prepare jobless people to enter the workforce. It sold a vision of specialized training, support for people regardless of their background or education level, and, ultimately, a program that would help lift people out of poverty. Instead, it delivered the same online classes to all manner of participants. Even people like Deatre McNeal, who knew exactly what she wanted from the program and only needed a week-long training, couldn’t succeed. In early 2017, Wisconsin administrative law Judge Debra Bersinger weighed in on ResCare’s “one size fits all” approach. In reviewing a case in which a Milwaukee man’s SNAP benefits were discontinued for failure to meet the work requirements, Bersinger concluded that the agency had not done due diligence in assessing his needs and writing an employment plan that would work for him. The petitioner argued that ResCare failed to accurately assess his education level and barriers to employment and that the online training classes should not have counted as customized skills training. The judge agreed, pointing out that ResCare was unaware of some of the most basic facts about his case. Caseworkers had failed to note that he was dyslexic; when the petitioner reported that he had trouble with his assigned training exercises, he was not offered any extra assistance. As it stands, the number of people subject to work requirements is scheduled to expand in Wisconsin and nationwide. Based on the USDA’s proposed policy alone, an additional 750,000 people will be required to work with companies like ResCare. If the past is any indication, only about a quarter of them will sign up for work training programs. Many of the rest will lose their benefits. Of the people who do participate in training, a little more than a third will find work. It will all come at a cost more than double the price tag of business as usual. And here’s the real, painful irony: According to the most recent estimate, the average wage for the minority of FSET program participants who did find jobs was $13.43 an hour, for an average of 36 hours per week. That amounts to about $25,000 a year. At that income level, many people are still eligible for food stamps. Correction: An earlier version of this piece incorrectly stated that 755,000 Americans would be subject to work requirements under USDA’s controversial plan. 2.8 million Americans would be newly subject to work requirements; 755,000 are projected to lose benefits if the proposal is implemented.